Large diameter 10-32 Thin nut to fit most 3/16" prop shafts. 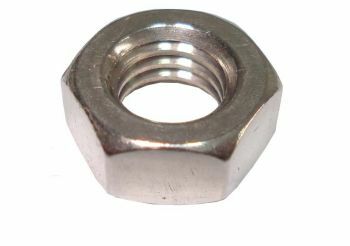 This is good to use as a double nut inbetween your lock nut/bullet nut and the prop. This is a large 3/8" diameter for the large hub props. These work well on American made 3/16" prop shafts. For example OSE, Octura, Hughey, Aeromarine, Hyperformance. See picture two for size specs.